Is your garden beginning to look a little boring? Does it look the same year after year? Let Green Goddess bring your garden or any area on your property back to life with its fantastic selection of outdoor products. 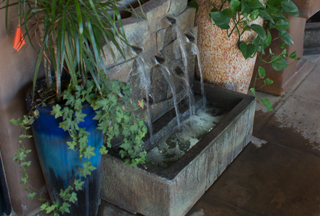 We have a huge assortment of decorative fountains to choose from. Our fountains come in a variety of shapes and colors. Fountains can be made of ceramic, earthenware or stone. Nothing brings life to a garden like a colorful container. 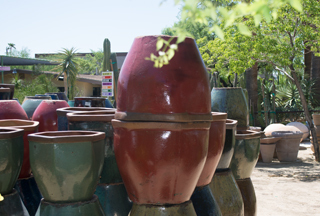 With hundreds of pots and containers to choose from in a wide assortment of shapes and sizes; come by our 3 acre facility and view the largest selection in the Phoenix area. 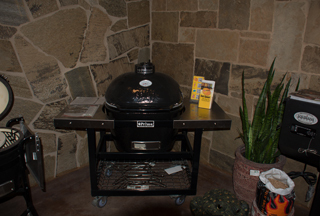 If your backyard area needs a grill to bring it to life, we carry the top of the line in bar-b-que grills with rows and rows of grilling products. This all adds up to a unique and easy bar-b-cuing experience. All of these greens are in stock at Green Goddess. Our green house is full of colorful plants to make any garden sparkle! We carry foliage for any season and our specialists are always on hand to show you which plant or tree is best suited in your area. All necessary products to maintain your garden are available at Green Goddess. Let us help you with all your gardening needs. 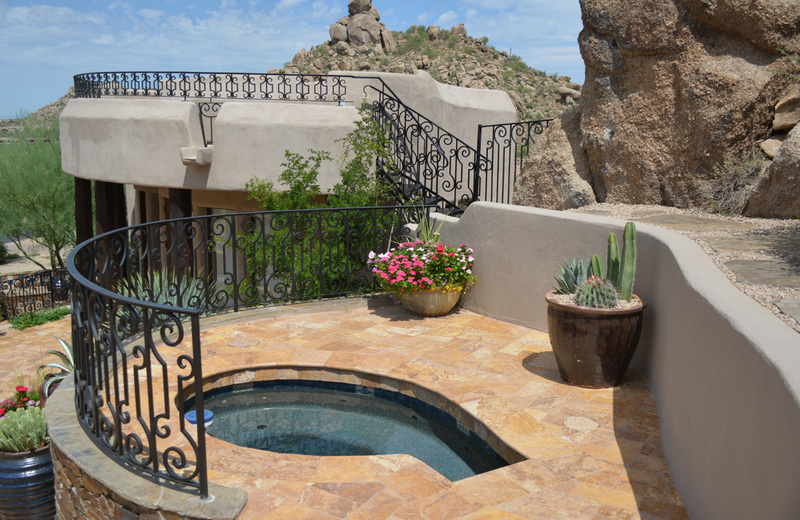 HOW TO CONSERVE WATER WITH YOUR LANDSCAPE! Living in the desert can create a lot of problems when it comes to watering your area. Water evaporates very fast here due to the high temperatures. Make sure your water systems are working properly and only water the amount that is needed. Over watering can be harmful to plants and trees. Drought resistant plants don’t need as much water, and drought resistant grass is also another way to conserve on water. It is very helpful to group your plants; so when watering the ones that need more water, are in one area. A layer of mulch around plants and trees will help reduce evaporation. Lawns should be watered only when needed. A trick to use; is step on lawn, if grass lays flat it needs water. If it pops back up, it doesn’t. Don’t water when windy, and try and water in the morning. This also helps prevent a fungus from growing. Common sense when watering your landscape can help save you on your water bill. Watch for excessive water in areas or an area that is too damp. Let our irrigation experts at Green Goddess answer any of your watering questions.